So for today’s ride I had two hours and thirty minutes in zone 2 with two 15 minute zone 4 intervals. I was riding with kyle again today and we were lucky to have the weather clear out and turn beautiful so he could stay and and get in another ride before leaving town. With the roads starting to dry we were looking in pretty good shape for our endeavor. Once we got going I decided I would take Kyle towards the Jacomo Lake route just for a bit to show him some pretty nice little hills. After going about ten miles into to it we had to turn around, but we ended up with some pretty good climbing going backwards as well. Kyle was loving the route; he said that we have way better riding over here than in Iowa. So it was cool to see that he enjoyed it so much. Once I had done one interval with him and rode him back to his parents so he could begin the journey back to Iowa it was time for one last interval. I decided that the climb from Main Street back to my house would be a good place to get one in. As I approached the spot I started to crank the speed up so I could have an easy transition to the zone four. Once in it I kept the tempo really high even though there was some good little hills on it that way I didn’t drop the speed below twenty miles per hour. Once I had gotten to the top of Main Street and needed to cross the highway I still had a bit of time left on the clock, which meant for me that I could just drill till I got home. After I was done I went to upload my Strava and noticed after that I had gotten another KOM. Pretty nice surprise if I don’t say. The KOM just so happens to be on Main Street coming back home where I did my interval. So a pretty nice way to wrap up this weekends riding up. 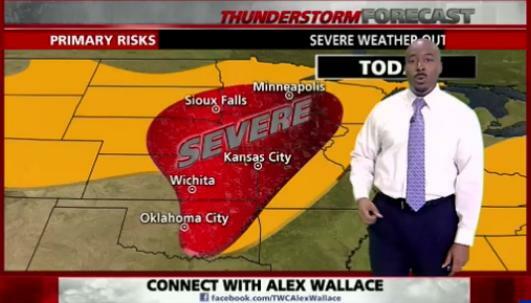 I sure hope everyone stays safe and out of harms way tonight with the weather that’s coming through KC.